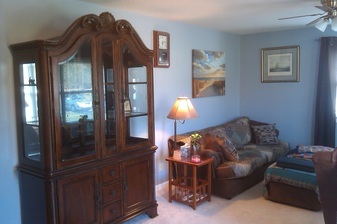 Are you looking for fully insured professional painters in or around Greensboro, NC? If so, Clinton Painting Services has the right men for the job. We provide quality residential, commercial, and industrial interior and exterior painting and repair services for Greensboro and the greater Triad region of North Carolina. Its been a great run since we opened the doors of this company. We have come a long ways over the last 8 years. As of 2019, we've served several of the area's biggest names in business and some of the most valuable homes in the region. Why did they choose us? The answer is simple. We deliver a precision, no hassle painting service at a great value to our customers. You are invited to browse thru the site to see photos from a few of our previous customer's projects. When you want to have your home or business painted by proven professionals, call Clinton Painting Services at (336)215-4128 to schedule a free estimate. Here is a list of our most popular services. There are over 500 painters in Greensboro, NC. How can you tell which one is right for you? You could start by checking out the BBB to make sure the company you are considering has a great reputation. Or, you might decide to go online and check out customer reviews for. Any way you go about it, you'll find a long list of satisfied customers when you look up Clinton Painting Services. No painting project is too big or too small, if you need professional home pain﻿ters in Greensboro and the Triad, we can handle all of your home painting needs with a hassle free experience second to none. Our top notch team tends to every customer with professionalism, from the initial contact, until the last drop of paint is dry. It's our way of saying thank you for your business. Bio: Hello, My name is Robert Clinton. I am the founder and owner of Clinton Panting Services. I am also the proud father of an 8 year old little girl and man of faith. I have been painting homes since for more than 20 years now dating all the way back to 1997. My father owned a painting company at that time, where I spent many long hours doing the grunt work. Even though the tasks I routinely performed were tough, I gained valuable experience in the process required to properly paint and protect a home. Even though I didn't realize it back then the, it would be that very labor that would eventually lead to opening and operating this service. The knowledge I gained is exactly what gave me the information and determination needed to provide services like these for you. My goal with this company is to lead the most highly sought after team of painters in Greensboro, NC by providing the highest quality, longest lasting coatings in the Triad. If you hire my crew and I to handle your painting project, you will never want to work with any other home improvement company again. I refuse to split hairs with my customers, and make sure our guys go the extra mile every time they step foot on any property we work on. It's our pleasure to serve you, and you can tell it by the way we go about our craft. Try us and see for yourself. You can't go wrong when you choose Clinton Painting Services. You can call me directly on my cell phone at (336)215-4128 when you're ready to schedule an estimate. I look forward to hearing from you. "Mr Clinton has worked with me on more than one painting project. He and his crew do great work. These are guys I would recommend to anyone looking for house painters." Steve D. From Burlington "The owner of the company came to my home and provided the labor to resurface the gel-coat on my yacht. He worked in extreme conditions and still got the job done right." "Mr Clinton and his assistants painted the ceilings and trim in my condo. We were impressed with how professional they were."